ON 28th March at Sunny Super Sound, Juhu, Mumbai, First time any films trailer launched here. At the press meet Dharmendra, Sunny and Boby Deol. Bollywood actors came to play a dry and safe Holi with save water awareness at Kamal Air compound. Where Payal Rohatgi, wrestler & actor Sangram Singh, Manisha Kelkar, Miss Srilanka Chandi Perera and Ekta Jain came with a idea to save water as entire Maharashtra is facing water crisis. If someone plays proper Holi then they waste 200 litres of water, so they wanted to appeal to the people that please play dry and safe Holi and save water for future. They came at Kamal air compound and played dry Holi with Gulal and water sprinklers. They have used Gulal made of chandan rose and other flowers.They came and played Holi before the main day as they want people should be informed regarding saving water.Great way of awareness. 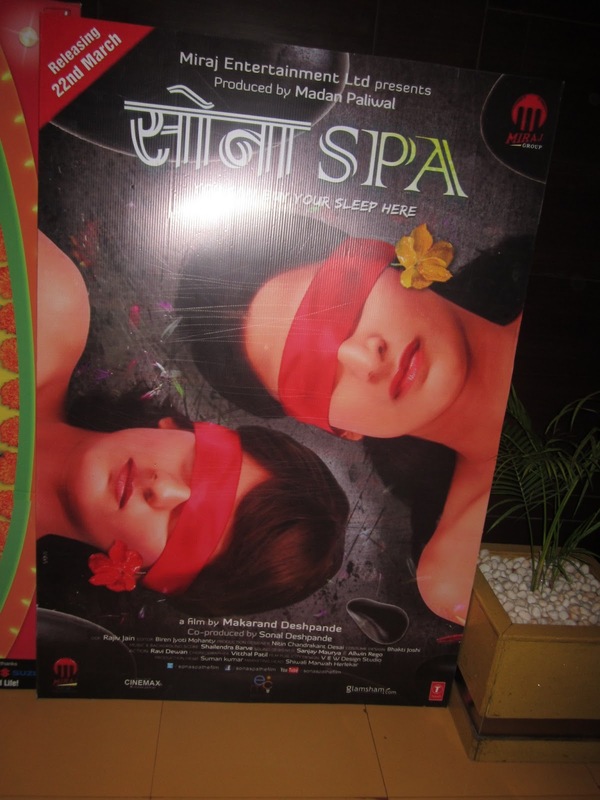 Miraj Entertainment’s SONA SPA, released today 22nd March, all over. The film is directed by Makrand Deshpande for producer Madan Paliwal. The films stars are Naseeruddin Shah, Aahana Kumrah, Shruti Vyas, Pooja Pradhan, Nivedita Bhattacharya, Vinit Sharma, Romi Jaispal and others. 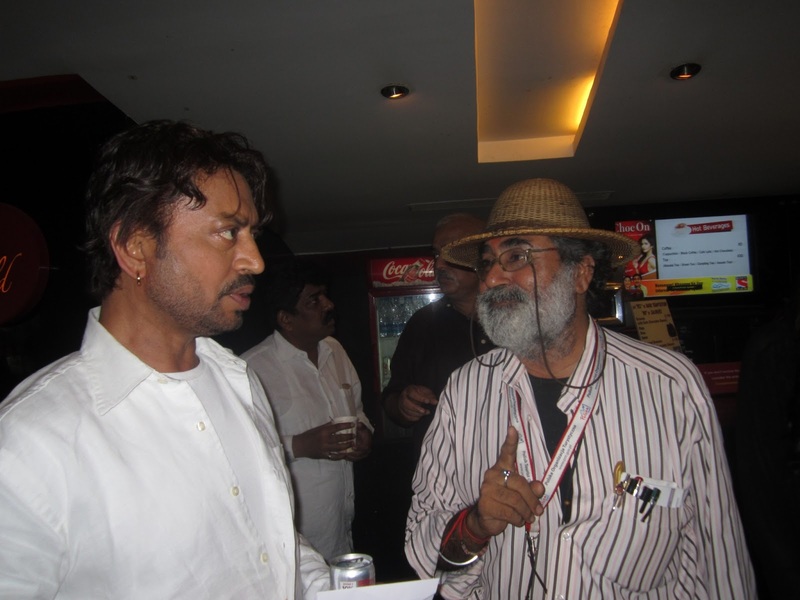 The film’s preview was on Thursday night at Cinemax, Versova, Where all cast and crew were present. The day was it’s artist Shruti’s Birthday too. So, she was celebrated her birthday there. The film’s opening response is average and report is good. The theatrical trailer of YEH BJAWAANI HAI DEEWANI was launched on 19th march at PVR, Juhu, Mumbai. The film is directed by Ayaan Mukharji for Karan Johar of Dharma Production. Ranbir Kapoor and Deepika Padukone are main star cast of the film. Writer, producer & director Ravindra Arora making ‘LOVE WITH ITALIAN GIRL’ in five languages symonteniously. 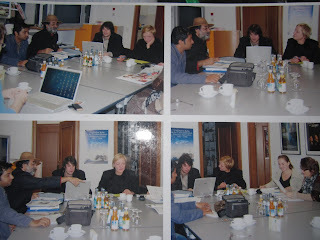 Recently he went to Germany for location hunting with his assistant and they have make a discussion in Studgaurd Commission office for the said film. The film’s script is ready and it will be made in English, Hindi, Italian, German and Bhojpuri. The cast and credits are yet under finalization. 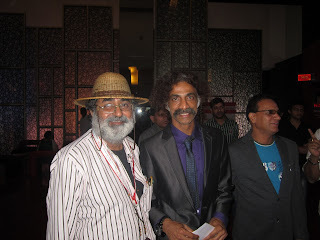 Ravindra Arora a man, who is behind the KAF’s BUSINESS & ENTERTAINMENT GLOBAL AWARD-2013, of which function will be held on 7th April at Lokhandwala Garden, Andheri (West), Mumbai. 5TH Nasik International Film Festival 2013 is dedicated to Dad Saheb Phalke. It will be held on from 21st Maarch to 24th March. The line-up comprises of 59 short and documentary films and 7 animation films, from USA, Spain, Germany, and India. Foreign El Hijo Del Har by Rahul Nath from Los Angeles, The Son of the Sea by Roberto Aznar from Spain, Seppi & Hias by Emre Koca and Pitch Builds A Ball And Destroys It by Udita Bhargava from Germany are the international entries. 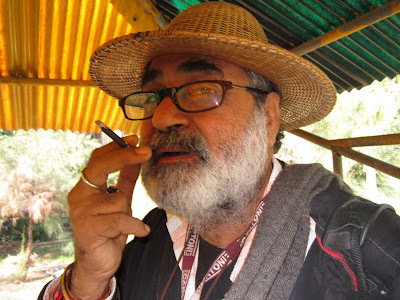 While Another Inconvenient Truth by Jagdish Kulkarni, The Decision – Nirnay by Dhanjay Bhawalekar, Someone In The Crowd by Anand Marathe and Finding Myself by Niti Bansod are some of the Indian entries. Besides an NIFF Lifetime Achievement Award, the festival will present the Best Short film, Best Documentary film, Best Animation film ,Best Film on “Social Message”, Best film on “Global Warming”, Special award for Best film made in Nashik, Young filmmakers award, Best Student Filmmaker and the Special Jury Awards.